"You have stated on oath that you recognized the defendant at 20 feet on a dark night and by the light of overhead street lighting. Can you be absolutely sure that you weren’t mistaken?" -- A Certain Justice by P. D. James. 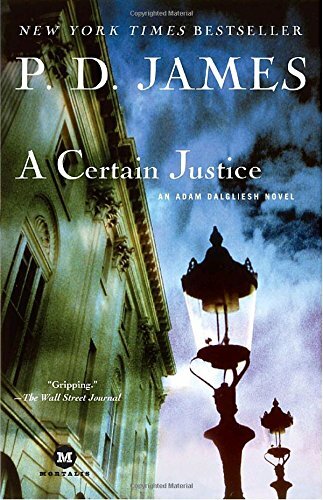 P. D. James's Adam Dalgliesh mystery series is one of my favorites. This 10th book is set, like all the AD mysteries, in a closed community -- this time the law chambers of a group of in-fighting London barristers. Sounds like placing doubt on the witness testimony. I keep meaning to try this author. I enjoy court drama and a good mystery.